These elegant Audio Visual Displays are the ideal solution for displaying both graphic and multimedia at exhibitions, conferences, reception areas or for point-of-sale. All of our TV display stands are available with full colour, high quality UV fade resistant graphic panels. 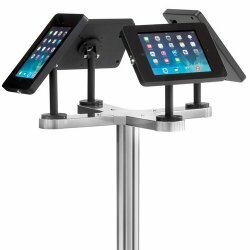 We also stock a range of iPad displays from free-standing to wall mountable versions. 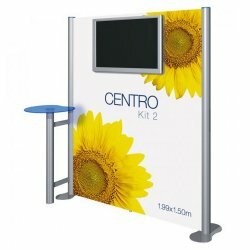 We can provide many other types of Multimedia Display Stands that are not listed on this website, please call us to discuss your exact requirements. Below are just some of the reviews left by customers in this section. I recently purchased 12 of these systems for a chain of Spanish hotels, the quality of the units is first class & the print quality is exceptional. We also received fantastic customer service from the team at Stylize.